At the end of December 2017, a strain of the H7 avian influenza was found in a green-winged teal, a widespread North American duck, collected in McIntosh County on the Georgia coast. With a confirmed case of avian influenza found in a wild duck, Georgia’s backyard poultry farmers should be diligent in their efforts to protect their flocks and the state’s population of broilers. It’s imperative to eliminate contact with wild birds, especially migratory waterfowl, and their droppings. Wild birds have known vectors of avian influenza. 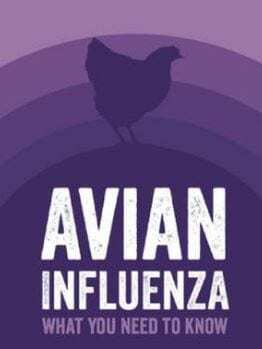 Backyard and pastured poultry flocks are especially vulnerable when exposed to their wild cousins, leaving them susceptible to avian influenza. To protect the state’s commercial and homestead flocks, the Georgia Department of Agriculture urges poultry producers, especially backyard flock owners, to remain vigilant and follow established safeguards to protect birds and their owners. While the commercial poultry industry in Georgia runs the greatest risk in terms of potential for loss, producers should have multiple safeguards in place to limit exposure to migratory birds. Since Avian influenza can more easily be introduced into Georgia through backyard flocks, protect your backyard flock by following these tips. Keep Your Distance. Restrict access to your property and your birds. Consider placing the birds inside a fence, and only allow those who care for the birds to come in contact with them. If visitors have backyard poultry of their own, do not let them come in contact with your birds. Game birds and migratory waterfowl should not have contact with your flock. Keep your birds inside a pen or coop. Do not let them run free. Keep Clean. Wear clean clothes when coming in contact with your birds and wash your hands thoroughly before entering the pen. Scrub your shoes with disinfectant. Clean cages and change food daily. Clean and disinfect equipment that comes in contact with your birds or their droppings, including tools. Remove manure before disinfecting. Keep stored feed in enclosed containers and protected from wild birds and vermin. When possible use municipal or well water as a drinking source instead of giving chickens access to ponds or streams. The avian influenza virus can live for long periods of time in surface waters. Properly dispose of dead birds. Don’t Bring Disease Home. If you’ve been near other birds or bird owners, clean and disinfect your vehicle’s tires and equipment before going home. Shower and put on clean clothing before approaching your flock. Keep any new birds or birds that have been off-site separate from your flock for at least 30 days. Do not share tools, equipment or supplies with other bird owners. If you do need to bring borrowed items home, clean and disinfect them before you bring them home. Know the Signs of a Sick Bird. A sudden increase in deaths can be a clear sign of the virus, as well as a drop in egg production, or eggs that are soft, thin-shelled or misshapen; lack of energy or poor appetite; watery and green diarrhea; purple discoloration of the wattles, combs and legs; swelling around the eyes; and/or nasal discharge. Early detection is critical to preventing the spread of avian influenza. If you suspect your flock is infected, call the Georgia Poultry Laboratory Network in Gainesville at 770-766-6810. For more information on avian influenza, call the Georgia Department of Ag’s Animal Health Department at 404-656-3667.